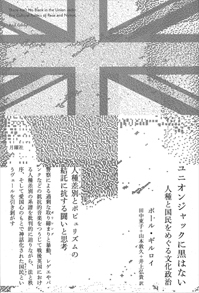 原書： There Ain't No Black in the Union Jack: The Cultural Politics of Race and Nation, Hutchinson, 1987 / Routledge, 2002. Copyright (C) 2017 Getsuyosha Limited. All Rights Reserved.